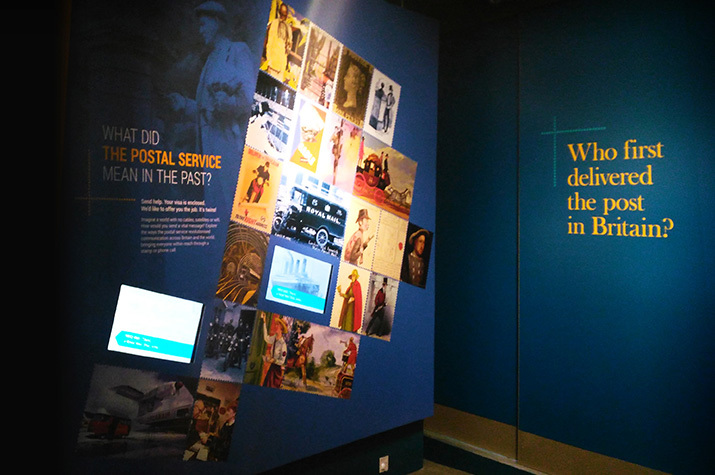 The Postal Museum lets visitors explore the rich history of the Royal Mail. 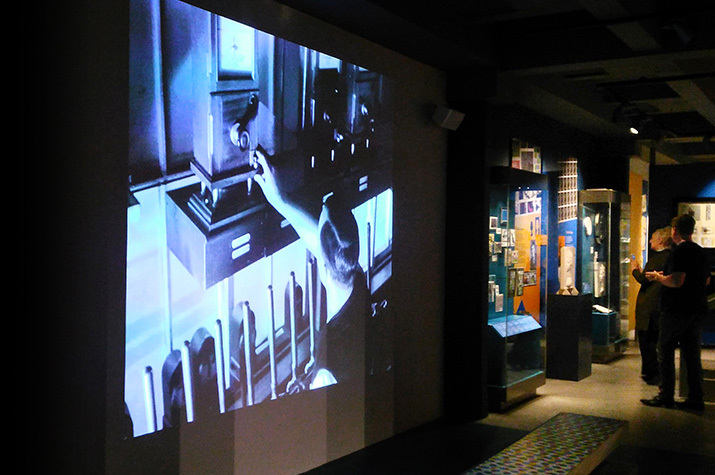 The AV system brings the museum to life. Films from the rich archive of the GPO play around the space, juxtaposed with films from local community groups and a mini-documentary on the journey of a letter. 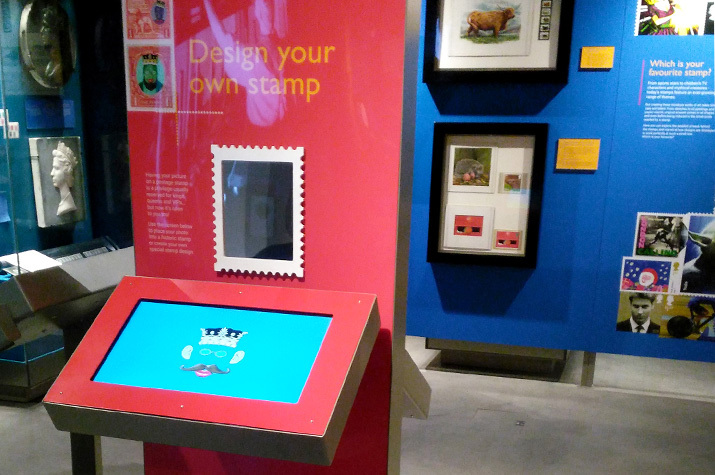 Visitors can create their own stamps, featuring photos they take of themselves, and email themselves a virtual letter with the stamp. A 4K touch table lets visitors explore the masses of ephemera generated by the Royal Mail over its history; while smaller touch screens show some of the beautiful cards and post cards that the Archive has collected. For the children, there are touch screen games where they can try to get a mail coach past the highwaymen, or deliver as much post and errands on a modern mail route. The buzz of activity of a mail bus can be heard coming from a speaker hidden inside the bus, itself an historical artefact. 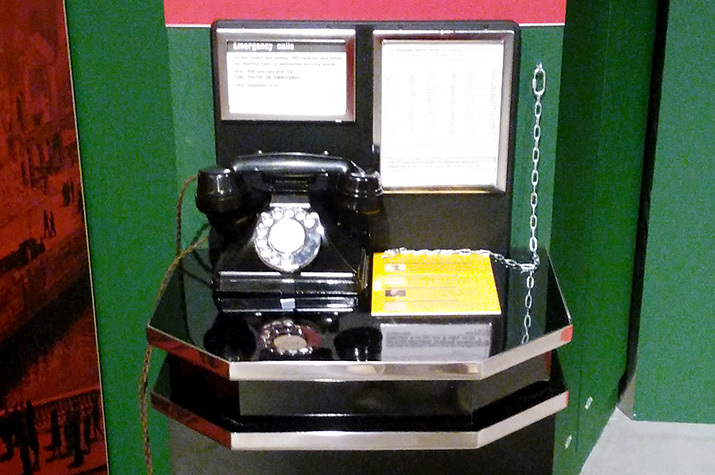 Original telephones have been converted to phone up for archive messages. Of vital importance to the staff is how the museum runs perfectly every day, without any need for intervention from staff.